According to the Autumn Equinox, we are now officially in Autumn. Which means that the temperature will start to drop (I’ve already felt that actually) and the daylight hours will reduce by the day. The transitioning of seasons is a great time to refresh your bedroom. So we’ve come up with 25 ways to reinvigorate your bedroom design. The simplest, cheapest and easiest way to reinvigorate your bedroom design is to change the layout. Just because you have your furniture the way it is, doesn’t mean that it is the best way, or the right way. Why not change it around, and see if you can create more space. See if you can make the room flow better or just move it around to make it feel like you have new furniture all over again. You might not have an overly large bedroom though, and moving your furniture around in the room might just not be possible. SO WHAT ABOUT SMALL BEDROOM DESIGN? We are known for our space saving ideas here at Furl, and so if you have got a small bedroom we’ve got you covered. Here are a few ways that you can reinvigorate your bedroom design despite having a small room to work with. Mirrors don’t only just make the room look bigger, but they also reflect light making the room look brighter as well. We always have the need for a mirror too. Whether that be as a lady to put on our makeup or curl our hair, or as a guy to check an outfit or style your hair. Place the mirrors in positions that will catch the most daylight, or will make the room look bigger. A full-length mirror could even be hung on the back of your door if your space is small. The clutter underneath your bed isn’t really clutter, it’s everything you actually need but just don’t have place to store. But if it’s out of sight, it’s out of mind and will make your room feel less cluttered. For a budget solution, buy lots of baskets and organise everything into a basket. If you were thinking about a new bed, then purchase a storage bed. You will find you can actually gain space by having a storage bed. If you have a small room, the best thing to do to make the very most out of your space would be to invest in space saving furniture. The less cluttered your room, the more ‘stuff’ out of sight, the happier you will feel in your bedroom. The saying that goes, you get what you pay for, could not be more true in this case. Add in clever design ideas that have more than just one function. Creating space isn’t always easy though. You may really want a dressing table, but just not have the space for one. 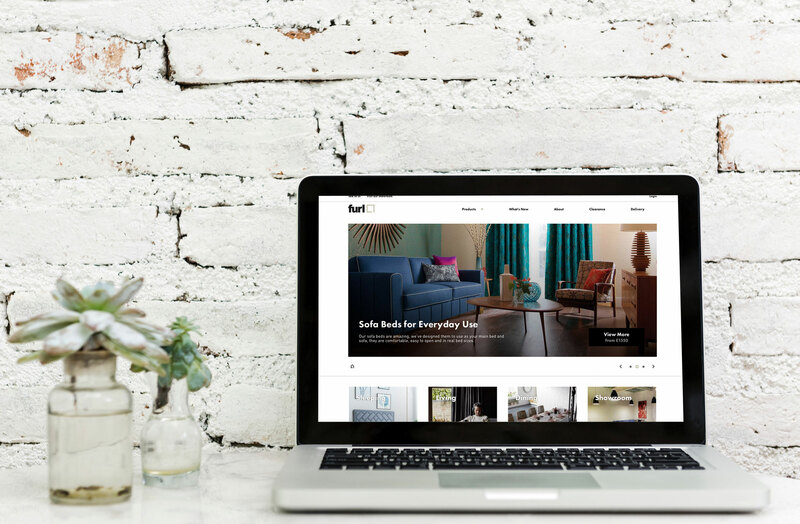 Here is where you can invest and look into really clever furniture that can double up as two things. Furl actually retails a shelf that converts into a desk. It can be mounted onto the wall at any height, so if you only have space for it to be a standing desk/dressing table, it can be. It’s the flexibility of these products that makes them so great. In small rooms you don’t always have the space for both a shelf and a dressing table at the same time. Where as items like this mean that you can actually have both without having to compromise. This includes any space. 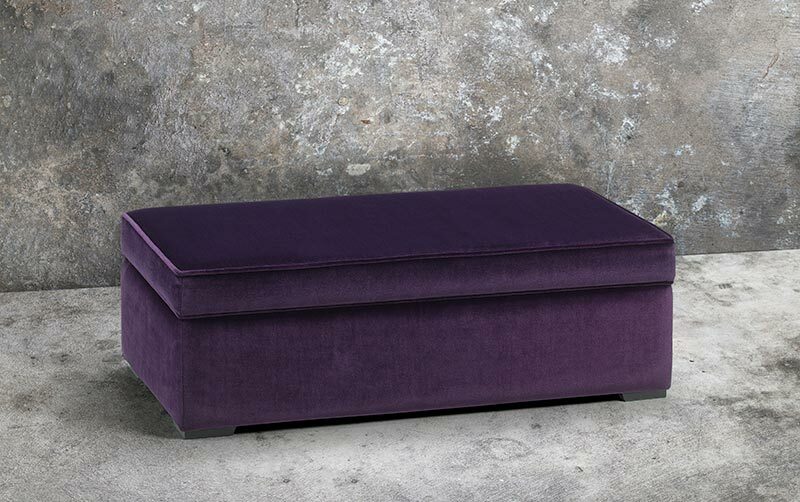 If you have a dressing table and that has a stool or a chair, switch it for an ottoman box. This means the lid on your stool would lift up and contain storage space inside. If you have a bay window and its an awkward space, invest in having a bespoke piece of storage furniture made. This may be an ottoman box that could also double up as a window seat. It could be a bookshelf made to fit underneath the windowsill and curve round with the window. Your budget may help to determine what you could use the space for. Some of us just don’t understand why anyone would want to add colour into a bedroom. Some just can’t understand why you wouldn’t want to have colour in your bedroom. We all have different opinions on colour. Some like it bold, some like it pastel, some like it not at all. But it is good to add a little bit of colour into your bedroom design. We all have a favourite colour, so choose that and you can’t go wrong. Grey has been a trending colour over the last couple of years, and almost everyone has grey somewhere at home. But an all grey room can be quite cold and clinical, so try to add a pop of colour to an all-neutral room. This doesn’t have to be bold colour, it could be soft pastel shades like dusty blues or lavender purples. But even these soft shades will just help to add a little warmth to the room. Start by adding one cushion to your bed in that colour. If you like it, then you could perhaps add the colour to the window dressings, the bedding or if you love it, even the walls. The world colour can sometimes make people run a mile, and I’m adding myself to that list too. The colour doesn’t immediately have to be in your sight line though. If you paint the walls in a colour, you will immediately see it as you walk in to the room. But painting the ceiling can add a perfect pop of colour to any room without it becoming too overpowering. It also helps to create more depth so is a great way of adding colour into room that you otherwise need to keep quite light and airy. Most people would think that you might add fresh flowers into your room for their scent. And in a way this is true, but most of the time, they are actually added to a room to give a nice pop of colour. The great thing is the colour doesn’t last very long, and so you can mix it up on a weekly basis. But that is also the flaw – it gets quite expensive. A cheaper alternative would be to invest in four different sets of faux flowers. Each set would be used for a particular season. Perhaps you could have berries and foliage for the winter, which would pick up on the reds and the greens. For the spring you could have a mix of brightly coloured flowers to lighten up the darker nights. Summer could see you bring in pastel shades such as sage green, powder blue and peach. Then the autumn you could opt for burnt oranges and reds. Although the faux bouquets or stems would initially be an expense, they would still be cheaper than changing fresh flowers on a weekly basis. Sometimes all your bedroom needs is a little switch up of accessories. Or perhaps just a few additional, brand spanking new accessories. Here are a few ways that you can refresh your bedroom design without having to break the bank. You may have a book on your bedside table because you are actually reading it. You may have a magazine on your bedside table because you are actually reading it. But most of the time, they are actually just decorative items to make your room look more like it came out of a magazine. Simply switch the book you showcase every month or so, to reinvigorate your bedroom. Although a small and simple switch, it will help to change your bedroom design. If you have a bookshelf, change the books around on this too. The most important shelf is the one at eye level. So every now and again bring the books up from the bottom shelf and showcase them here instead. If you have lots of books, perhaps even colour order them or put them into alphabet order. Small changes like this will make a big difference to the overall design of the room, particularly if your bookshelf is a big feature. Sometimes if your bedroom is dark and dingy, there is nothing you can do to actually lighten it. Embrace the darkness and instead make it look as warm, cosy and inviting as you possibly can do. Use fluffy pillows or pop a sheepskin rug on the floor. Add lots of lamps to the room. Bedside Lamps, Floor Lamps and a Desk Lamp for your dressing table will really help to create a warm atmosphere. Perhaps even hang fairy lights above the bed if reinvigorating a teenage girls bedroom. This may seem like a really easy one. But have a look at your current room and tell me how many pieces of artwork, photographs, posters or prints you actually have on your wall. I have a total of 4 in my bedroom, which are actually quite large and striking. If I took all four off the wall, the room would look completely different. Empty, not lived in, cold and just not as homely. Artwork is also a great way to add a splash of colour to your bedroom helping to refresh the design too. Ever fancied your room to look like it came out of a magazine? Sometimes your bedroom just needs a little bit of luxury. Have you ever wondered why you always walk into hotel rooms and utter a small ‘wow’. Or why you ogle at images of bedrooms an interior designer has got their hands on. It’s always to do with how the bed is dressed. Your furniture can remain completely the same. Simply change your bedroom to simple white crisp linen. Add a blanket or a throw to the end of the bed – you can also get bed runners that are easy to place. Then finish off the bed with a few cushions. One cushion will make all the difference. If you can manage two or three, the bed will look even more luxurious. You may have read the previous point and said to yourself ‘I do have cushions’, but how old are they? It is important to actually make sure that you keep your cushions fresh. That might mean putting them in the wash every now and again. It might mean changing the flattened after years of use inners to plumper fuller cushions that will give your cushion covers a new lease of life. It may mean keeping the inners and changing the cushion covers. You may have cushions, but they may not necessarily be in fashion or up to date. So keep them on trend, keep them current. Make sure they work with the rest of your room design and also work with the seasons. You may think that wallpaper is a bit of a blast from the past. But it is actually making a huge comeback in the design world. When we say wallpaper, we don’t necessarily mean highly patterned or floral. There are some beautiful textured wallpapers that are just one flat colour, but add real interest to a room. 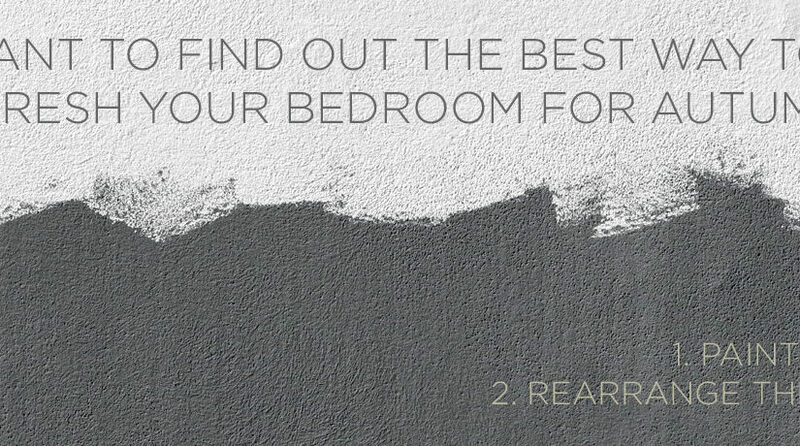 If you don’t have the budget to paper a whole bedroom, a great trick is to paper a feature wall – usually the one behind the bed – and then paint the remaining walls in a complimenting or matching colour. This keeps cost down to begin with. You can then save and eventually paper the remaining walls in the future if you decide you love it. You need a bed, a wardrobe and a set of curtains or blinds in your bedroom and that’s usually about it. If you have space, you might add a dressing table or a chest of drawers too. But to reinvigorate your bedroom design, you need to create a focal point. If you don’t have much space, then add an interesting headboard. By mounting it on the wall, it won’t take up any floor space but give you something exciting to focus on. If you have a little more room, add in an occasional chair, side table and turn a corner of your room into a little reading corner. EVER WANTED AN ON TREND MILLENNIAL BEDROOM DESIGN? There is a Millennial Bedroom Design Bingo circling the social media sites at the moment. Do you have a cactus, tick. Have you brought a rug back from Morocco, tick. Got a Velvet Bed, tick. Do you have a neon text sign on your wall, tick. You get the idea! So if you have ever wanted a velvet bed, here’s everything you need to do. Velvet is currently trending with so many different velvet types available. There is High Pile Velvet, Low Pile Velvet, Moleskin Velvet, Crushed Velvet and Textured Velvet. 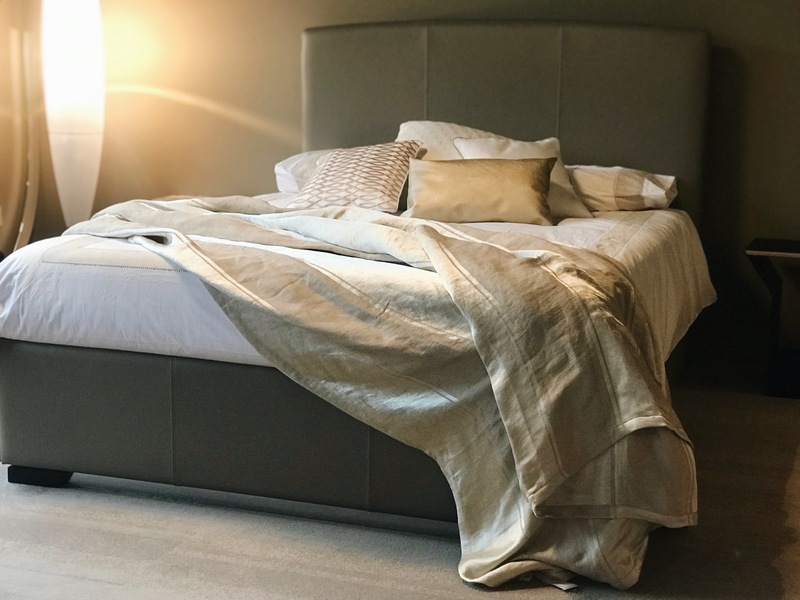 As upholstered beds have been making a serious comeback over the last couple of years, perhaps now is the time to update your wooden date and switch it out for a velvet one? 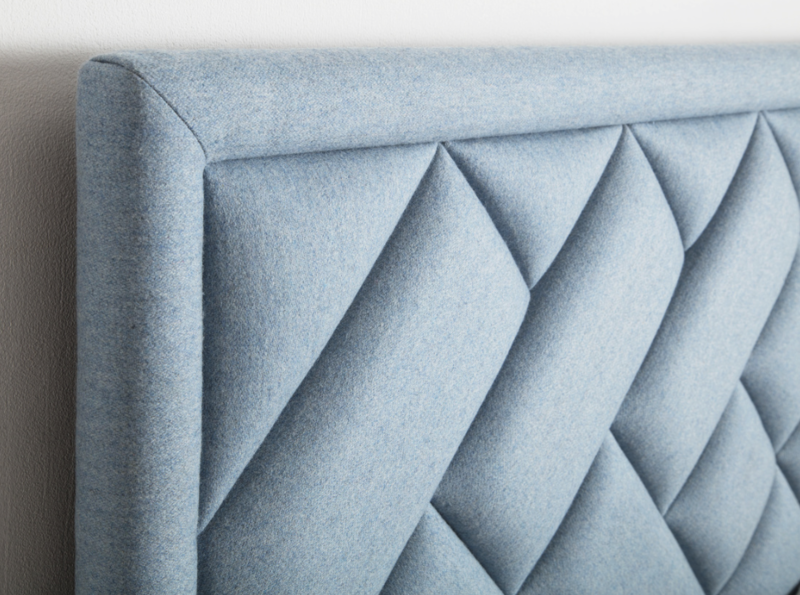 Furl offer removable fabric covers on their bed bases so that if you decide you really don’t like it, you can just simply take the cover off and change it for a new one. The same can be done with their simple headboard designs too. If you aren’t convinced on the headboard yet, Furl actually allow you to add them on to the beds at any time, or leave them off completely. 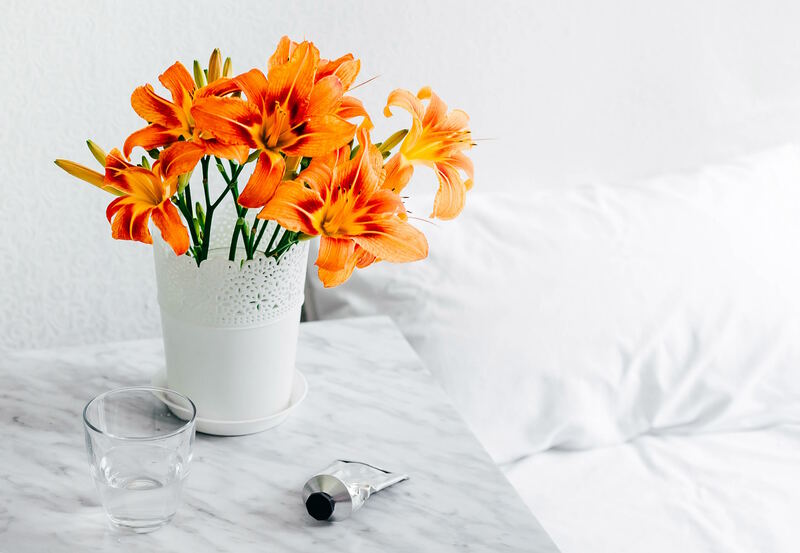 WHY ARE PLANTS GOOD FOR REINVIGORATING YOUR BEDROOM? Plants aren’t only a millennial trend, but they are also great for detoxing the air we breathe. Helping you to live healthier lives, as well as sleep more easily. If you would like to read more about the benefits of plants in bedroom designs, we have written a blog post on it here. The in thing at the minute is to add greenery to your bedroom. There are online plant companies that will deliver plants to your bedroom door with instructions on where to put them and how to keep them alive. But if that still all seems a bit much, there are great faux plants on the market too. The only problem will faux plants is that you will not get the same air detox benefits as you do with real ones. If you have room for one, go for a big one and put it in a pot on the floor. If you are lacking in space, hang the plants from the ceiling. Hanging plants are great for nurseries as they are out of grabbing hands reach but still give that new lease of live to the space. Refreshing your bedroom design might not always mean changing the furniture that’s actually in it. It could just mean refreshing the items your already have. Changing your lifestyle will help to change your room design and feel too. Get yourself into a new clean routine. Because the cleaner your bedroom is, the fresher your bedroom will feel. Wash your bedding once a week. Try and open the window in the morning, even if just for a few minutes to let in some fresh air. Add in a Diffuser, to ensure there is a fresh welcoming scent. And burn candles at night to help soothe you to sleep – just remember to blow them out before you do actually drop off. We’ve spoken about adding items like diffusers and candles to your bedroom, but we haven’t told you that you need to keep them updated. Just like any smell, if it’s there for long enough, we get used it. Our noses just simply stop smelling it. Which is why every now and again it is good to switch scents. This will keep your bedroom feeling and smelling fresh. Our bedrooms often become covered in clothes. Change your routine by picking your outfit the night before so that you don’t end up with a floordrobe before heading off to work. By keeping all of your dirty washing out of your bedroom, not only will it help to keep the room looking less cluttered, it will also help to keep that dirty washing smell out of the serene space you are sleeping in. It’s all very well me telling you to move your wash basket out of the bedroom in to the bathroom if you have space to do so. But lots of you might not. So instead, purchase a couple of fragrance bags or air fresheners and just simple pop one into the bottom of your wash basket. Perhaps even fix one to the lid as well. This are really inexpensive items and are usually bought in multiples. So if you have a few spare, pop onto into your chest of drawers and wardrobe too. It will just stop that smell of dirty laundry coming through into your space. So simple, but painting a room is such an effective way to refresh and refurbish a room without having to break the bank. You do need to make sure that the techniques you use are right for the room type you have too. 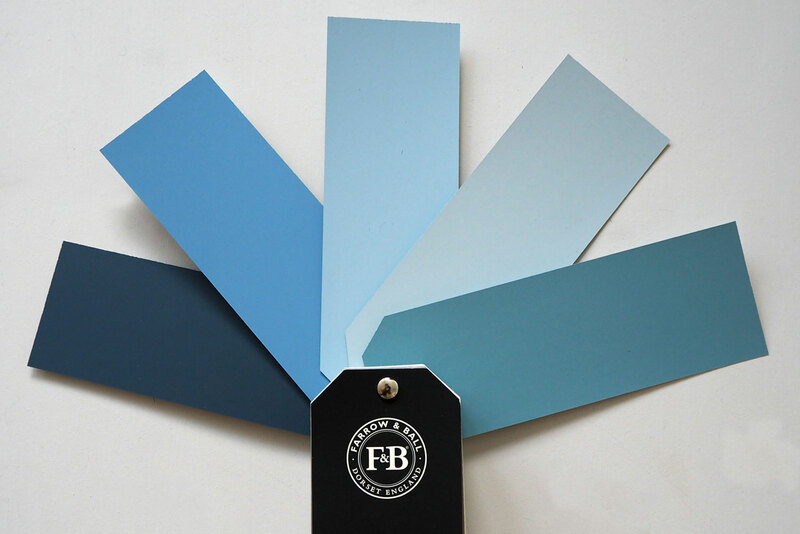 Designer Paint can be quite pricey, but lots of paint companies will actually mix up any paint colour so you can get a near perfect match to that designer paint that is out of budget. Go bold and go brave, because the worst that can happen is that you don’t like the colour. It’s a little bit more work, but just simply strip it back, and paint again. Space is limited in London and lots of people actually live in studios. These are big open spaces where the bedroom is in the living room, is in the kitchen. Because you have one small space you want it to seem as roomy as possible. By painting the walls in a light colour you can ensure that the room remains as bright as it possibly can do, which will in turn make the room feel bigger than it actual is. If your studio space is actually large enough to create zones, then why not zone out particular spaces. Rather than adding a headboard behind your bed, paint all the way up to the ceiling but only in a strip which includes your bed and any side tables. This will divide the room and help to create a bedroom when it doesn’t actually exist. Woodwork detailing like skirting boards, architrave, cornices and dado rails can be painted in a slightly different colour to the walls. By having two different colours, it gives the room a little more depth, and although subtle will make the bedroom feel roomier. Don’t underestimate the power of lighting. It’s one of the first things that should be looked at in relation to bedroom design. It will make a huge difference as to how a room not only looks, but how it feels to be in. Young children often have softer lighter to help soothe them to sleep when they are little. But as they older, their hobbies change. Their rooms turn into play rooms too, with reading corners. Reading of course requires more light than sleeping does. So add a few more lamps into the room with bright white light bulbs. This will ensure that your children aren’t straining their eyes to read the latest book they brought home from school. Lighting in your room is just as important as in your children’s rooms. Your bedroom is your sanctuary and your place to relax at the end of the day. You therefore need to ensure that the lighting is creating the right mood. If you lighting grid accommodates it, add in a dimmer switch, so that you can control the level of lighting you want. It may require an electrician to switch it over to a dimmer switch for you. If that sounds all a bit too complicated, then perhaps get two bedside lamps with different levels of light. Or pop a floor lamp into a dark corner of the room to make it cosier. You should find ways to reinvigorate your bedroom design for the Autumn season that are fun. Just don’t go beyond your budget. If it’s low, save. Don’t rush to make decisions and start off with small additions, making your way up to bigger purchases. If your room is small, don’t over clutter it. Do you very best to have a big clear out and only keep what you absolutely need. Once you’ve done this, and only when you’ve done this will you know what you actually have to store. If your room is big, create a few different areas and focal points. But create ones you actually need. This may be a reading corner. But only design a reading corner into your bedroom design if you actually read. If you don’t read, the space is wasted. We have lots of space saving, multifunctional products available at Furl. All of which would really help to reinvigorate your bedroom design no matter what the size of your room. If you would like to visit us, we have a showroom in Wembley by appointment, that can be booked via the website.